“Crypt-keeper” wasp tunnels through another wasp’s head. Think you’re having a bad day? Well, feel for the gall wasp. This unfortunate parasite digs its way into an oak tree to reproduce only to be parasitized by another parasite. Its cosy little home becomes a grisly prison when Euderus Set pops by – scientists named it after Set, the Egyptian god of evil and chaos who chopped up his little brother Osiris, for good reason. The gall wasp’s (Bassestia pallida) larvae forms compartments around it, known as a crypt, protecting it from harm until the larvae is ready to burrow its way out into the big wide world during Spring. But when E.Set rocks up and drops an egg into the crypt, things take a turn for the worse. E.Set’s egg starts to influence the gall wasp larvae, making it dig an escape hole too small for it to squeeze through. When the gall wasp does the logical thing and tries to get the hell out of there it gets stuck – only its head can fit through the tiny emergence hole. Dinner time for E.Set beckons. 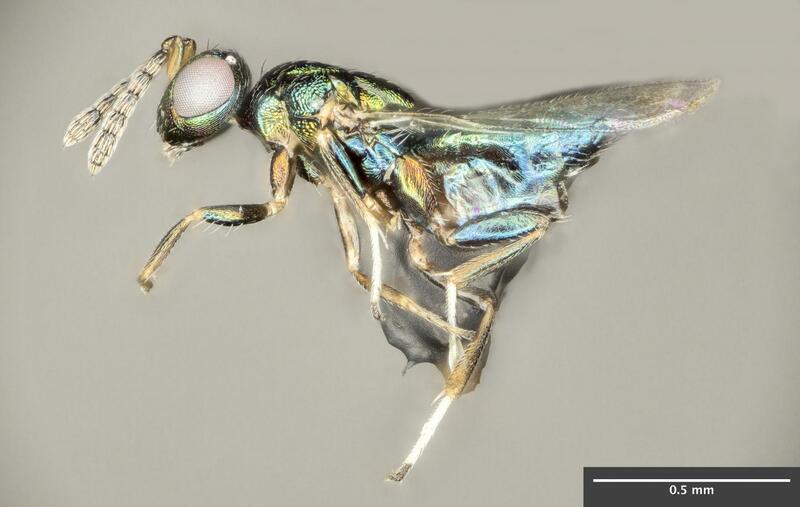 It chows down on the gall wasp’s innards and uses its body as an edible ladder until it emerges from its head – by now, the gall wasp is, mercifully, well dead. The scientists who discovered the crypt-keeper sought to find out how important the gall wasp is to the dastardly parasite. It turns out its incredibly important. In an equally sinister experiment, the scientists taped thin strips of bark over the dead gall heads, then they waited. They found E.Set was three times more likely to die in the crypt if it had the added challenged of gnawing through bark. But they don’t know much else about what goes on inside the crypt. They don’t know for instance how E.Set makes its gall wasp victim burrow a smaller than usual hole in the bark. They plan to use a CAT scan on branches where gall wasps are being entombed to really get a grip on what’s going on. For many of us of the more squeamish type, that may not necessarily be a good thing. Sean writes about the weird and lesser known things in nature. He's a Scot living in Geneva, Switzerland.